Edward Winslow was born in Droitwich, England in 1595. He joined the Separatists, a Puritan religious group who were highly critical of the Church of England. They were followers of Robert Browne, a preacher who thought the Church of England should abolish bishops, ecclesiastical courts and other relics of Roman Catholicism such as kneeling and the use of priestly vestment and altars. The Separatists also believed that the government was too tolerant towards those who were guilty of adultery, drunkenness and breaching the Sabbath. The Separatists, who held their church services in secret, were persecuted and several members were imprisoned for their activities. The Dutch government had a reputation for tolerance towards dissenters and in 1608 Bradford and a group of Separatists decided to emigrate to Holland. Winslow and his friends soon became disillusioned with life in their new home in Leyden. They could only find low-paid work and they feared that their children were losing their English identity. In 1620 Winslow, William Bradford, John Carver, William Brewster, and other Separatists based in Holland decided to emigrate to America. One hundred and two people boarded the Mayflower and after crossing the Atlantic they decided to settle at a place they called Plymouth in Massachusetts Bay. The Separatists established their own government and John Carver was elected governor of the colony. The plan was for the pilgrims to live on fish caught from the sea. However, they were not very successful at this, and by the spring of 1621 half of them had died of starvation or disease. When John Carver died in 1621 William Bradford became the new governor of the colony and appointed Winslow as his assistant. Winslow who served as a member of the governor's council (1624-46) was elected as governor in 1633, 1636 and 1644. He wrote several books about his experiences and religious beliefs including Good News from New England (1624), Hypocrisy Unmasked (1646) and New England's Salamander (1647). 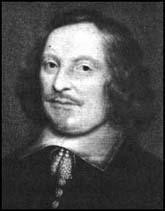 Edward Winslow died at sea while returning from the West Indies in 1655. They (the Plymouth settlers) had no friends to welcome them, no inns to entertain or refresh their weather-beaten bodies, no houses or much less towns to repair to. The season was winter, and they that know the winters of this country know them to be sharp and violent, and subject to cruel and fierce storms, dangerous to travel to known places, much more to search an unknown coast. Besides, what could they see but a hideous and desolate wilderness, full of wild beasts and wild men. At times there were but six or seven strong enough to hunt, cook and care for the entire company. These men and women at great risk to their own health spared no pains, night or day. We have found the Indians very loving. We can walk as peaceably and safely in the woods as in the highways of England. We entertain them in our houses, and they give us venison.